Town Crier: Hear ye, hear ye, ten minutes to go 'til Van Dort's wedding rehearsal. Q: Is this a musical? 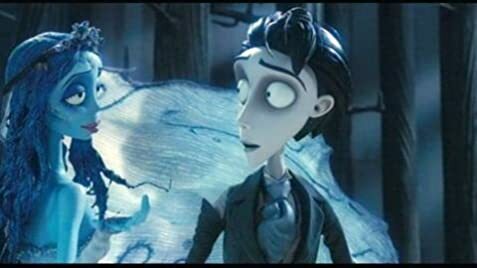 Q: Is "Corpse Bride" based on a book? I probably would have liked this movie more if I had not already seen - many times - "The Nightmare Before Christmas" which was a brilliant and original piece of work. 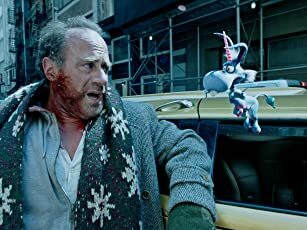 This movie does share some of that movie's qualities - haunting soundtrack, bumbling authority figures, a tall thin protagonist who is searching for something, a heroine whose limbs easily detach, and a dear departed house pet. It also has some interesting ideas of its own - the living looking and acting as though they were already dead, versus the dead living it up, since they have no more worries and forever to look forward to with the prospect of all of their loved ones returning to them one by one. In fact, the only time the living seem happy in this film is when the dead return to the land of the living for a truly unique wedding and instead of menacing or haunting the living, there are tearful and happy reunions. However, the individual characters in this film are just not that interesting. In short, even though all of the characters in "The Nightmare Before Christmas" are dead, they just seem more alive and motivated than the characters in this film. Also, this movie is darker than "Nightmare" and not as funny, so kids under 10 might find it too intense and probably not as interesting. 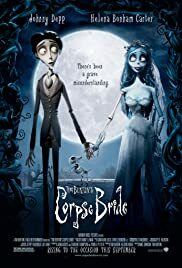 Thus, although it is worthwhile viewing, I'm just afraid that Tim Burton set the bar too high with his previous animated film.